Lake Tahoe is one of the most unique vacation spots in the entire country. Not only will it blow you away with its majestic natural scenery, but it will also provide you countless opportunities for entertainment and excitement. From its abundance of outdoor activities and sports to its great dining and fun nightlife scene, there's no shortage of things to see or do in Lake Tahoe. 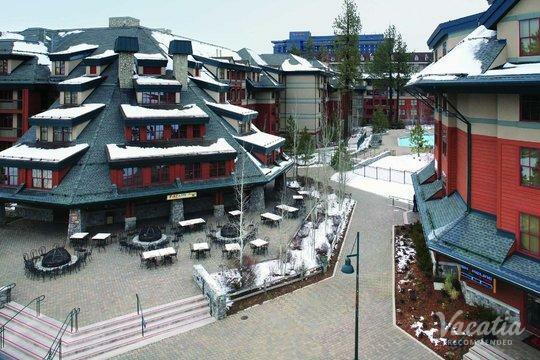 So if you want to escape to the mountains and indulge in a bit of luxury in Lake Tahoe, let Vacatia help book your stay at one of the best resorts in the area. Vacatia can help you find an exceptional resort that offers the best amenities and services available, so you're sure to enjoy every moment of your stay in beautiful Lake Tahoe. 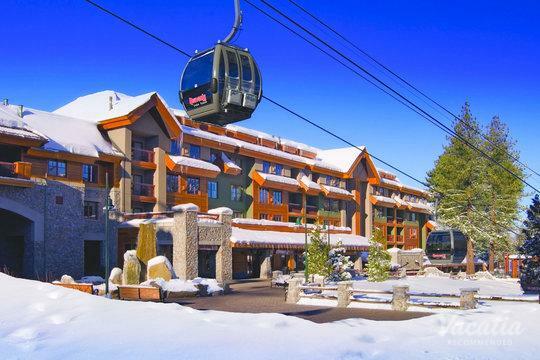 To book your stay at one of the top resorts in Tahoe, simply browse Vacatia's impressive selection of 4-star resorts in Lake Tahoe until you find one that meets all of your qualifications. You'll be impressed with the quality, luxury, and comfort of your Vacatia rental property, so don't be surprised if you want to start planning your next Tahoe getaway the moment your trip ends. Nestled in the picturesque Sierra Nevada Mountains, Lake Tahoe boasts gorgeous mountain and lake views around every corner. There's certainly no shortage of natural beauty in Tahoe, but there's also no shortage of activities and entertainment. Whether you visit Tahoe during ski season or during the warm months of summer, you won't experience a dull moment in this alpine paradise. 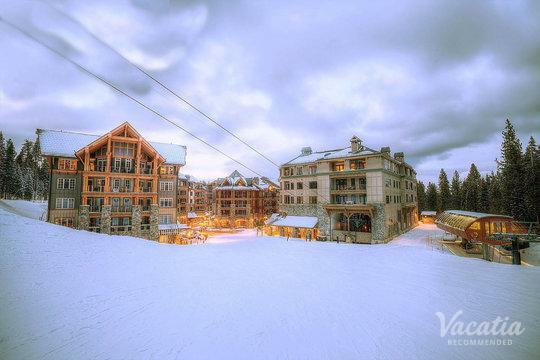 If you want to stay at one of the top resorts in Tahoe, let Vacatia help you plan your upcoming lakeside getaway. Vacatia can help you book the best 4-star lodging Lake Tahoe has to offer so that you can experience both comfort and luxury during your stay in Tahoe. Not only do Vacatia's rental properties feature the desirable services and amenities of a resort, but they also provide added living areas and home comforts, such as a fully equipped kitchen. So when you stay at one of Vacatia's "resort residences," you're sure to feel right at home amidst the gorgeous mountain scenery. Lake Tahoe is known for its postcard-perfect scenery, as its sparkling cobalt water and its breathtaking mountain surroundings make it one of the most beautiful bodies of water in the country. This beloved lake attracts people from all over North America, as it boasts fantastic skiing as well as excellent boating and summer activities. 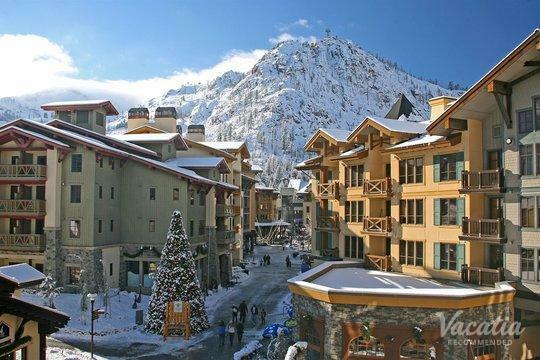 During the winter, skiers and snowboarders flock to Tahoe's world-class ski resorts, such as Heavenly and Squaw Valley. During the summer months, visitors enjoy all that the lake has to offer, from boating and fishing to hiking and mountain biking. So if you want to immerse yourself in the majestic great outdoors this year, you should start planning your trip to Lake Tahoe. Let Vacatia take the reins and find the perfect rental for your stay so that you can enjoy one of your most memorable vacations yet.